In past interviews, I've discussed selling with Amazon FBA quite a bit. However, today's podcast is different and provides quite a unique angle. Today's guest is not just selling a private label product. Zach Vohries from Zackees.com has created a truly original (and patented) product and brought it to the market. Zach had a unique idea and was able to go from idea to selling in about 2 years. I love the story that Zach shares because he has reached the point that all of us should be striving for (at least I know I am). He's created something unique and defensible; he truly is “the one” for his product category. So, what is the product that Zach created? 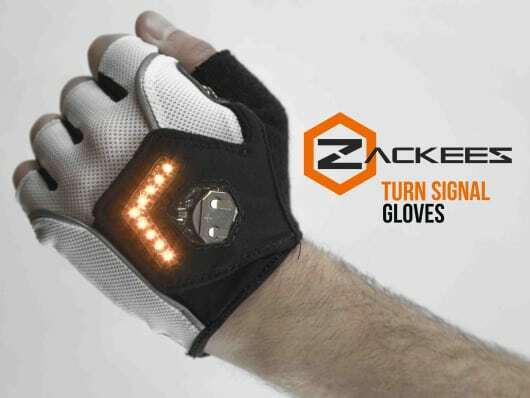 The product is Zackees LED Turn Signal Cycling Gloves; and you can see his product on Amazon right here. In addition, they also sell the Zackees Rechargeable Coin Cell Charger here. Zackees gloves are also part of Amazon Exclusives, which is a unique section where Amazon actually promotes certain unique and innovative products that are sold exclusively through Amazon.com. 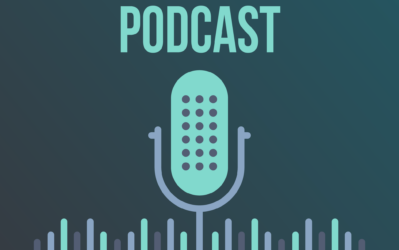 In the interview today, I was able to get the story of why the product was created, how it was prototyped, how they found a manufacturer, and then we dig deep into how Amazon ranks listings and the lessons learned along the way. This is a very in-depth interview, so I strongly encourage you to listen to the audio to get all the details. However, below are some brief notes of what we covered. Why was Zackees Turn Signal Gloves created in the first place? – Zach had a young 10 year old neighbor that was in a cycling accident who was left handicapped for life as a result. As a result, Zach created a product to help protect cyclists world wide. Zackees has sold about 3000 units to date, they are on their second batch of inventory. Their first batch of inventory was 2,500 units and unfortunately there was a small issue with that batch. If they had only done 500 gloves on their first batch, this would have caused MUCH less issues. So, the lesson learned here is to do a small batch first to work through any issues that might come along. How do you design and manufacture an original product? Zach was able to prototype his own product and then send it to a manufacture to mass produce. Basically, Zach bought a leather glove off the shelf and then manually inserted a circuit board/lights by hand. He kept working on his own until he had something he could show other people at a fashion show. Then he was able to find a textile expert and hardware engineer to drop prices and make it look better. If you are able to take an existing product and retrofit your new features or design based on that existing product, it will make the job of a manufacturer much much easier. How did you find a manufacturer to make your original product? It can be very difficult to find a manufacturer. Zack was able to use his existing social contacts to find a sourcing agent. Zach was at Tech Crunch Disrupt and happened to be next to the Z Board guys…which knew a great sourcing agent. Using your own social network can be a huge help in finding help in your business; including finding a manufacturer. Zach learned that the best way to communicate with a manufacturer is to use a visual design document. Basically use images and arrows to make it very easy to communicate with someone that may not speak English as their first language. Zach also recommends actually going to China and being in the factory as the first batch of your product is created to help review product quality and unforeseen issues. When you first started selling your product, you had some Amazon optimization problems. What was wrong with your listing? The differences between selling a new product vs. selling an existing product is quite different. The A9 Amazon Search Engine uses the sales history of a product to know where to rank it. However, if you have a new unique product (like turn signal cycling gloves), you may not get categorized properly. Zackees glove was not categorized properly when they first started selling. They had to work with Amazon support quite a bit to get things worked out. However, the true solution to getting categorized properly and selling well was to offer a special offer that drove lots of sales in a short period of time. How can sellers get their listings to show up for different keyword searches? 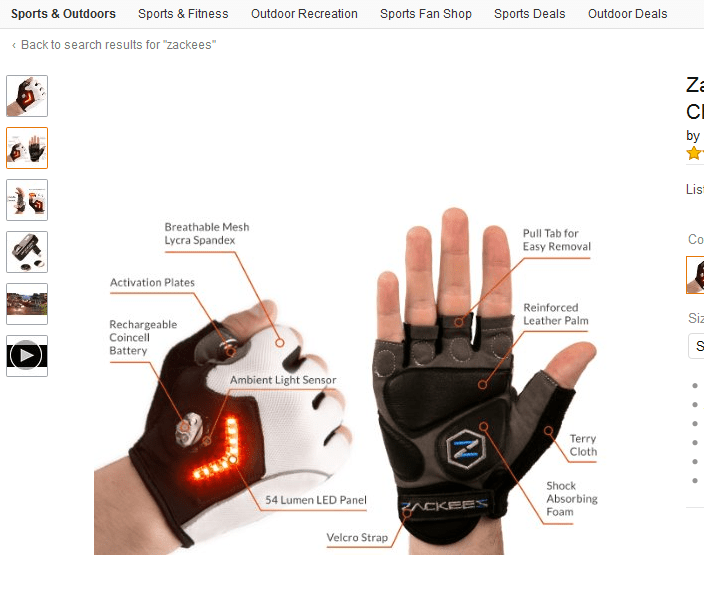 Zach's product wasn't showing up when they typed in “cycling gloves”. They found that Amazon uses the product title primary to know what keywords your listing should show up for. When they adding the phrases “cycling gloves” in their title (which it wasn't at first), they immediately started showing up for those searches. A big lesson they also learned was that they could insert a list of products their coin cell charger was compatible with or comparable to in the bullet points, they found that they were showing up for lots more keyword searches on Amazon. This has been a big win for their products. Another Big Win. Their rechargeable coin cell battery charger was created because their turn signal gloves need a coin cell battery; its a complimentary product. However, because of their optimization on their battery charger product, they are now selling as many chargers as they are gloves. This has been a big win and a great way for them to expand their business. How to find keywords? Use Amazon ad tool to search for keywords. You can also use Google trends to see what the trends are, but also the comparison of search volume between 2 different keywords. 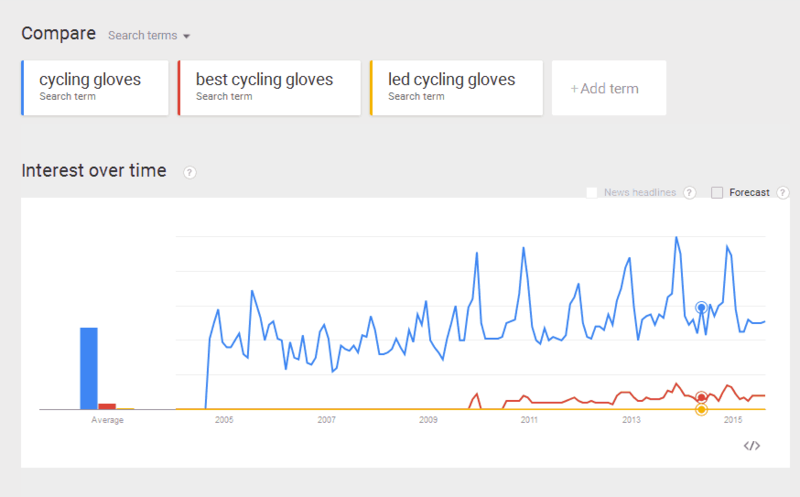 For example, if you compare “cycling gloves” and “Best cycling gloves” and “LED cycling gloves”, you can see how these keywords compare. 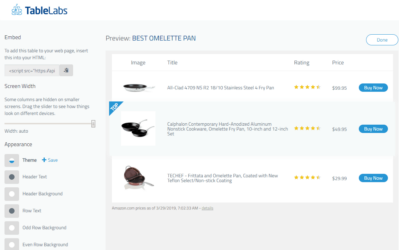 How to optimize your product listing for humans? This can be very difficult to do if you don't have a background in marketing. If you are trying to figure out what to say, you are already on the wrong path. What worked for Zackees was using high quality images and graphics. High resolution images that are zoom-able and graphics and text on those images to point out benefits and features will improve conversions. Zackees has found that the best was to convert humans is to use images; it's all about the images. How do negative reviews and returns impact your listing? Zach feels that only negative reviews have an impact on your listing. Glowing five star reviews don't help your listing; but a negative review can really hurt you. As a result, Zach always follows up with any negative reviews that they receive. By interacting with customers and letting customers know that you are there to make them happy, customers will often remove the negative review on their own. What is Amazon Exclusives and how did Zackees get listed there? Amazon Exclusives is a new program that allows brands that make their own products to get in the Amazon store and get past some of the earlier barriers to entry. They give you a certain number of customers to look at your product each day. When they launched in March 2015, they were one of the featured stories attached to the Amazon Exclusive's story. As a result, the picture of the Zackees gloves were used on blogs talking about Amazon Exclusives. I wanted to just publicly thank Zach for coming on the podcast again! I've been through many of the struggles to get a product listed on Amazon that Zach mentioned, so I can appreciate the effort that he's put into selling on Amazon. However, Zach has also given us all a better glimpse of what it takes to take a truly unique idea and go through the process of developing a prototype and manufacturing a new product. Obviously it's not easy, but Zach has shown that the rewards can be significant. Both their turn signal cycling gloves and their coin cell battery recharger are selling really well. Overall, I hope you enjoyed the podcast as much as I did doing the interview! If so, I would appreciate a rating or review on iTunes right here. As always, please feel free to leave a comment or question below and I'll be around to continue the discussion. Hi Spencer, I been ranking low comp. keywords with just on page seo when it get indexed on the 3rd or 4th page usually. What kind of links do you recommend to try to push it on the 1st page? Many thanks and great podcast! I realize this site has now moved on from websites and is really into Amazon physical products … but I was curious if Perrin would be writing here about his new pet website (that was featured on Backlinko). Looks like Perrin is doing extremely well in the SERPs with his white hat techniques, and I’m sure a LOT of your readers (who found you when you used to write about websites) would be interested in hearing about his experiences with the site. I’m sure we will get around to talking about some of our sites eventually. 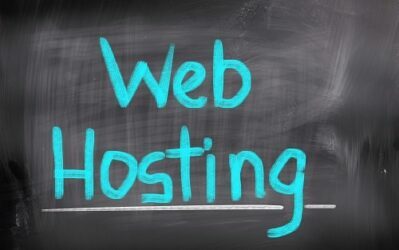 We have been building a couple of sites that are starting to do well (including the one you mentioned). Its really just a matter of me finding time with all my other business pursuits to actually sit down and blog about it. I am having a small issues with returns. I sell clothing through FBA and off late have got 2 returns due to the reason ‘ Product not as described’, within a span on 5 days although on 2 different listings. These two are popular products and other customers have liked them and never complained any such thing. 1. What shall I do in such cases ? Shall I delete the listing if I get a product not as described return ? PS: I have checked the listing multiple times and there is nothing we could find that is different from the product. 1. I would ensure your description does indeed describe the product well. If you are having product quality issues, you need to fix it. 2. I’m not sure. I’ve had returns as well…having some returns is very normal. Thanks for your new podcast, Can I sell a new product on Amazon from Bangladesh? is it well decession, should I go for it? I have Good SEO and SMM knowledge and know about Amazon Affiliation but no real life experience. 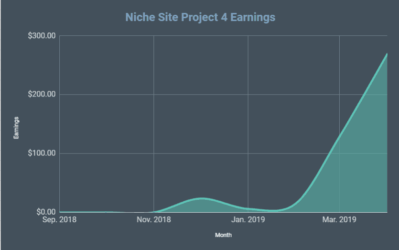 q, Am I able to income @least $5000 from my 10 niche sites? q, What are the main challenges I have to face? And for my business I spending money from the loan, so I am worried about my niche business future. Yes, you can sell from Bangladesh. Business always has risk, so I don’t know if you’ve made a good decision or not to hire a team, office, and build niche sites. 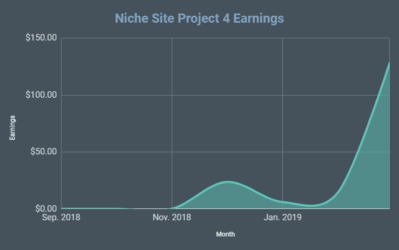 a. I think it would be very difficult to make $5k/mth from your 10 niche sites. a. Google is the main challenge. There are many other businesses that can give you a bigger return, faster than niche sites. (Web design, article writing, software, etc, etc). The decision is yours. I know this question is geared to spencer, so forgive me for intruding. I don’t know how much finances you have to squander, and I don’t know how much your overhead will be for all that. But, I do know, if you’re building niche sites you don’t need ALL THAT. Especially if you haven’t proven the niche/keyword can bring you income- or substantial income. Try one. Learn. Then evaluate. I’m in the research process of the FBA business and still wondering what to bring to market. Its pretty cool how you did it on a whim (it seems). What do you think it takes to find that “unicorn” thats missing in the market? However, I don’t think you need to find a “unicorn” in a market. In fact, most people teach that you should find a product that is already selling really well in the marketplace, and then just create your own (private label). So, you don’t HAVE to create something unique or new…you certainly can just sell what is already selling well. lot of information in this podcast, specially for someone like me I was wondering if giving free products at lunch to some people in exchange to reviews are legit. I am kind of stuck with the need for good reviews that can help me improve the product and afraid a sincere one might (if negative) hurt sales in the future. Amazon specifically says you can give discounted/free products away for a review as long as the reviewer specifically mentions that in their review (received discounted/free product in exchange for this review). Thanks for great guide would you please consider to writing a one guide from clickbank perspectives too ? And would you write a post which one best for affiliate marketing whether Amazon or cj or clickbank ? Also their is shareasale now a days. Q : Are you sure amazon session set only for 24 hours ? Yes, the amazon cookie is 24 hours. thanks for reply . what about my first Question ? I don’t know why your conversion rate is so low. It could be low quality content, bad traffic, or so many other things. because my 80% traffic from mobile ? Hands down my favorite interview I’ve heard you do in the past 20 episodes I’ve listened to! Thanks so much Zach provided so much information and value and it’s all so timely to where I am in my journey. Amazing detail and broad coverage on this episode guys! Awesome…thanks so much Terri! Glad you enjoyed it. I been positioning low comp. decisive words with just on page seo when it get listed on the third or fourth page more often than not. What sort of connections do you prescribe to attempt to push it on the first page? An abundance of thanks and awesome podcast! Thanks Rakhi. Are you referring to ranking on Amazon or Google? (Question sounded like Google, but blog post is related to Amazon).